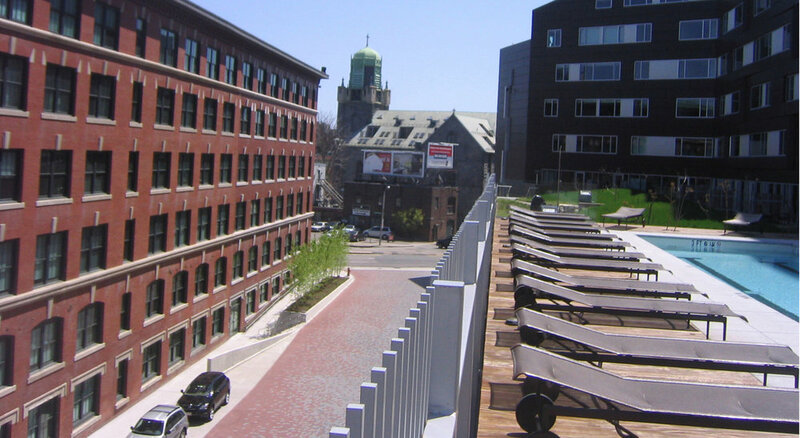 Macallen Way — Landworks Studio, Inc.
Macallen Way, is one of three tiers that make up the Macallen Building's infrastructual landscape. 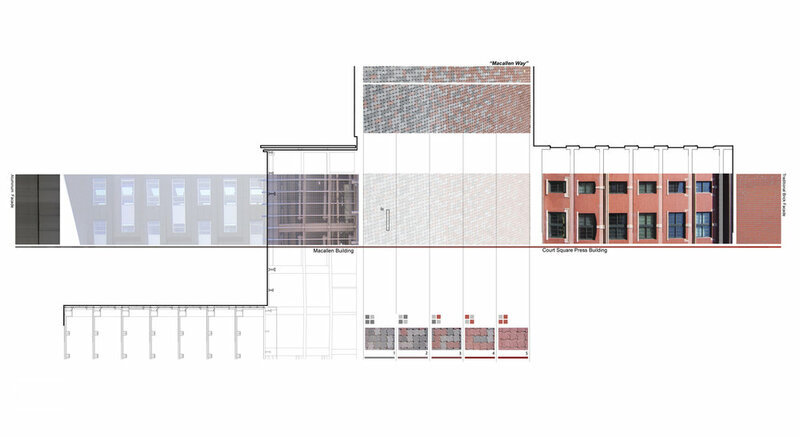 Tier one is a ground-level public court with tree planting, lighting, and a composition of paving materials that structure a dialogue between the Macallen and Court Square Press Buildings, both developed by the same client. 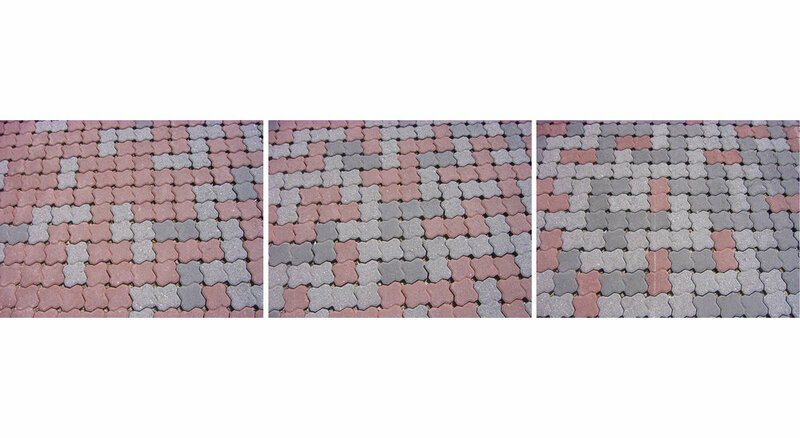 Three different colors of permeable concrete pavers are arrayed in a gradient from red to dark gray that reconciles the material environments of the two buildings—the red brick of the Court Square Press and the gray aluminum paneling of the Macallen Building—while allowing in situ infiltration of surface runoff. To bolster the site’s infiltration capabilities, a band of river birches are planted in an elevated bed that hugs the corner at Dorchester Avenue to usher people into the court. The Macallen development was awarded LEED Gold certification in 2008. Click to see the rest of the Macallen Builiding Project.